An LL.M. in Media / Entertainment Law can go a long way towards a successful career in the media industry. Indeed, by design, these industries need legal expertise, perhaps more than many other fields, in that they can be quite complex. Also, with the rise of the internet streaming and platforms like Netflix, iTunes, and Hulu, many new emerging legal issues are coming to the surface. In fact, an LL.M. in Entertainment or Media Law can help students understand many of the legal issues involved in these industries, from contracts to intellectual property law and dispute resolution, among others. These topics can apply to many parts of the media and entertainment fields, from the motion picture industry to music and performing arts. Some law schools also offer specialized LL.M. degrees in specific parts of the entertainment industry, for example LL.M.s in Sports Law, or LL.M.s in Arts Law. In any case, most LL.M. programs in Media / Entertainment Law will include coverage of topics like intellectual property (IP) law, contracts, negotiation, and copyright / trademark law. Electives in an Entertainment Law LL.M. might include immigration law, tax strategies, torts, and litigation, among others. 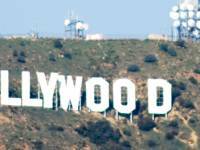 Many students opt to pursue their LL.M.s in Entertainment or Media Law in a location that's well-known in the fields, such as Los Angeles or London. However, these programs can be found all over the world. Those who graduate with an LL.M in Media or Entertainment Law might go on to careers in law firms that handle large media clients, for example, or they might provide consulting services to performers in the fields. See a complete list of Media and Entertainment Law LL.M.s below. The Executive LLM programme at the London School of Economics and Political Science is one of the most innovative and intellectually exciting of LLM programmes offered in Europe today. It makes available the highest quality postgraduate education, taught by many of the leading academics in the UK, to individuals in full-time employment who cannot take a year-long break from work. The programme offers modules in a broad range of fields including arbitration, human rights and more. Queen Mary, University of London’s School of Law, internationally renowned by academics and practitioners as offering a first class LLM Programme with 22 different specialisms. Staff have substantial practical legal work and world leading research experience. Along with the expertise of high profile Judges, practitioners, Business Leaders and distinguished Visiting Academic Fellows, Queen Mary can offer you an academically challenging and relevant LLM in a friendly and supportive environment. Our world-class, flexible LLM is designed to meet a diverse range of needs and can be studied anywhere in the world. With over 30 specialisations and 60 courses, you can either build a broad range of skills or specialise in a specific field, such as public law for government or human rights law for NGOs. The Master of Laws (LLM) degree at USC Gould focuses on the U.S. legal system for students trained in law outside the U.S. The comprehensive curriculum provides foundational skills that are immediately applicable to global legal practice and leadership. 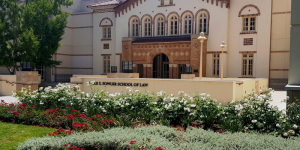 USC Gould also offers specialized degrees in Alternative Dispute Resolution and International Business and Economics Law, as well as master's degrees and certificates for students who do not have prior legal education. With 150 LL.M. students from more than 33 countries in our programs on average each year, University of Miami is at the forefront in training legal professionals. Students can take a General LL.M. or specialize in International Arbitration, Tax, Real Estate, Entertainment & Sports, while having the opportunity to earn a J.D. + LL.M. program and/or take a U.S. Bar Exam, including New York. More than 17,000 University of Miami law alumni practice in the U.S. and in nearly ninety countries. Landing a good job in showbiz is tough for anyone. Can an LL.M. help for lawyers? LL.M. with a specialization in media and IT law? International Commercial Law or Media & Entertainment Law? Best LLM for IPR and Entertainment Law? 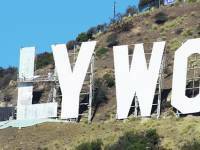 GWU or UCLA for IP and/or Entertainment & Media Law? Entertainment Law/Video game law LLM in Canada? Entertainment and Media Law LLM Chances?